The line between an outright crime against nature and something so bad that it’s fascinating is often hard to distinguish. The case could be made for New Coke, “Jersey Shore”, anything relating to any Kardashian (including Lamar Kardashian’s play for the 2011-2012 Dallas Mavericks) and Jerry Jones falling in both camps. I wouldn’t think it could ever apply to alcohol until I had distinct displeasure of befouling my innards with Highland Mist. I was in deepest East Texas for reasons my barrister’s demand I not disclose when my associates decided to impress me with their sophistication by providing me with some “scotch” called Highland Mist. Now I was legitimately excited by this; I prided myself in having sampled ever possible iteration of Scotch in existence and had never, ever heard of the Mist. It obviously was a cheaper (MUCH cheaper) brand then normal scotch fare, but not everything can be 20 year + Scottish genius. I was intrigued. My intrigue rapidly turned to abject horror as soon as the seal was cracked, and my olfactory senses caught the slightest aroma of this “drink”. I cannot stress this enough: it was the absolute worst smell in the world. I cannot even fathom anything in the universe smelling as wretched, and I’ve tended bar in a Singapore brothel before. At first whiff, I recoiled in horror, quickly put the cap back on the bottle and held the bottle at absolutemaximum arm’s length. There was NO WAY this liquid was from Scotland; it had to be from at least Dante’s 3rd Circle. But it said it right there: bottled in Scotland. I felt like hiring Ralph Nader right there and then. This was blatantly false advertising; if in fact it wasn’t from the afterlife’s fiery depth, it was at least rerouted through Tijuana were some crazed, speed freak cartel member bent on America’s destruction had put some poisonous, corroding elements into a fine Scottish product. Now I have absolutely no problem with tequila; I had many a great/blacked-out evening with this product of the most southern nation of North America. However, when it somehow through some black magic gets combined with Scotch, I will protest from now until the Judgment Day. I have what I consider a fairly nuanced, cosmopolitan view of the world, but a few things (99% of reality T.V., 900+ years of England’s Irish “policy”, Dan Quayle) are completely, total wrong. And Highland Mist is just WRONG. My associates couldn’t believe their eyes; they’d seen me drain off large quantities of the most suspect Mississippi swamp moonshine with absolutely no qualms, but here I was recoiling from a perfectly legal, legitimately produced and taxed international product. Their laughter at me was endless, only broken up by the continual mild gagging as they somehow choked down quantities of this crime against the Creator. Could I, Mr. Whiskey, have met my match, have found my limitless limit? I hadn’t that day, though I often wish I had. After putting myself in a mild trance, I shut off my mind, nose and soul and poured myself a tumbler with as much ice as possible. I always try to be completely honest with you, my dear readers, but I cannot fully elucidate the full abject, soul nullifying awfulness of this drink. Whenever I try to fully recall the taste, I slowly start to panic and ultimately draw a blank. I’ll admit it: I got full on shell shock from a damn drink so that I’ve largely repressed the memory. Suffice to say, when around the Mist, proceed with extreme caution. I awoke at 3 the following afternoon, under the kitchen table sans pants and dignity with a mostly eaten bag of sour cream and onion potato chips, which I normally hate. However, in this instance, I was very thankful to have this aftertaste in my mouth when considering the alternatives. My associates were in similar positions when I woke them; after some not so subtle/gentle prodding, they admitted that this was at least their 3rd worst decision of the month and almost certainly a violation of their paroles. We never mentioned it again. Still, given my contrary, extremely stubborn nature, I find myself drawn to this abortion of a libation. How could anything possibly be that bad? One of these days, I’ll gain the courage/foolishness to try this Rio Grande-infused Highland product again. Perhaps I’ll videotape myself in case I repress the experience again. I’ll definitely regret it, but I’ve got to know if this is the Pabst of Scotches and is rather endearing in its abominationesque qualities or is rather the Paris Hilton of all drink in which case the distillery should be burned down to ashes and the ground sowed with salt. Maybe I’m too cynical; enlightenment has come from stranger sources before. There could be something to learn from this wretched damnation after all; if I ever go down to Hades for this again, I’ll try to bring some wisdom back with me. Tagann Solas As Dorchadas. Oh yeah and my grandfather only served it at freezing temps literally making it a syrup of sorts. I stumbled across this website after trying to remember one of the brands of cheap Scotch that I’ve imbibed. (yes, it was that memorable) I thoroughly enjoyed the snarky, sarcastic tone of the writing until I came across the line “…poured myself a tumbler with as much ice as possible.” It was at this point that I realized that a fraud was being perpetrated by the author. No true self-respecting scotch-a-phile drinks Scotch on the rocks. I thought I’d come across a kindred spirit with a similarly nuanced yet outright disdain for the unrefined but it was too good to be true. Dammit man! You can’t possess a writing style that wonderfully conceited yet spot on and drink your whisky like some 1960s advertising executive. I’d be willing to overlook this if in fact the use of ice were some preemptive strategy to aid in the intake of the aforementioned “abortion of a libation”. 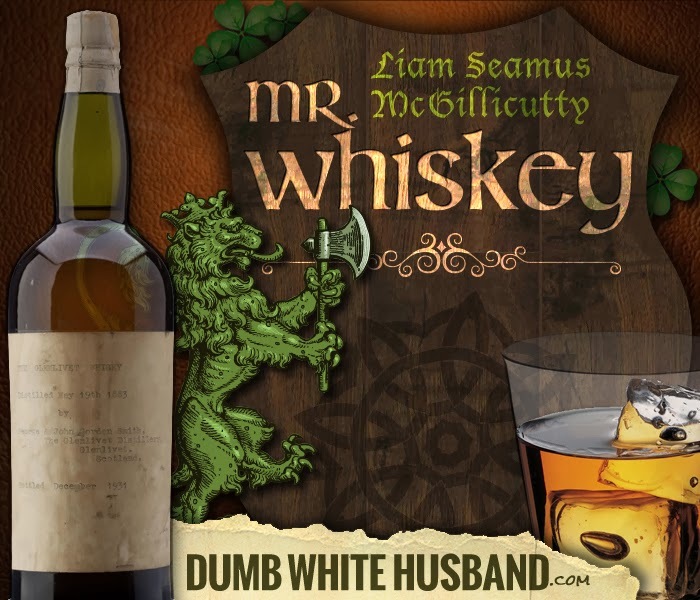 Given your diatribe regarding ‘The Mist’ I’d love to know your opinion on Feckin’ Irish Whiskey. Slàinte mhath!